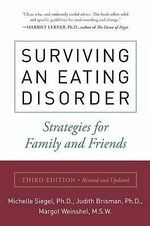 Below is a list of books which are recommended by EDV staff to assist those family and friends who are helping their loved one recover from an eating disorder. The list is by no means exhaustive, but is designed to assist you to get started on the road to discovering books best suited to your own circumstances. These books and many more are all available to purchase from our online bookshop, or most are available to borrow from the EDV Members Library. 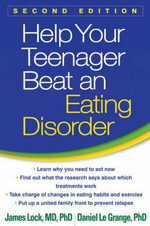 Please note that these books are not recommended for people still struggling with an eating disorder. Equips carers with the skills and knowledge needed to support and encourage those suffering from an eating disorder, and to help them to break free from the traps that prevent recovery. This book is recommended reading prior to attending EDV’s Building Hope workshop. 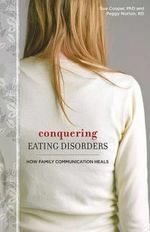 What to say and what not to say when a friend or family member has an eating disorder. 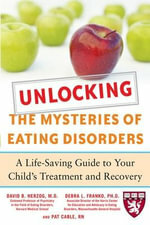 Provides the tools you need to build a united family front that attacks your child’s eating disorder, to ensure that they develop nourishing eating habits and life-sustaining attitudes, day by day, meal by meal. 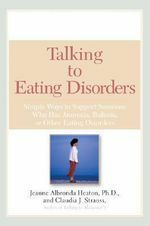 This insightful and comforting guide, written by two internationally known experts, shatters the myths, mysteries, and misconceptions surrounding eating disorders. Aims to bridge the gap between the statistics and the real-life issues to help teens and parents gain the communication skills necessary to support the healing process. 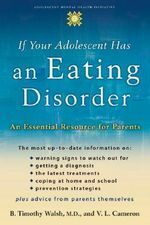 This is an authoritative guide to understanding and helping a teenager with anorexia nervosa or bulimia nervosa. Revised edition of a classic book, containing information on what methods and practices work best for families, helping readers take new actions that will encourage the recovery process. 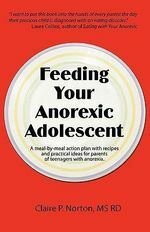 This book is an action plan for parents of children suffering from anorexia. It is a resource for parents who are desperate to know what to do right now, at this meal, at the next meal, and then again tomorrow. 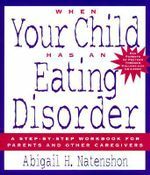 Hands-on workbook to help parents successfully intervene when they suspect their child has an eating disorder.